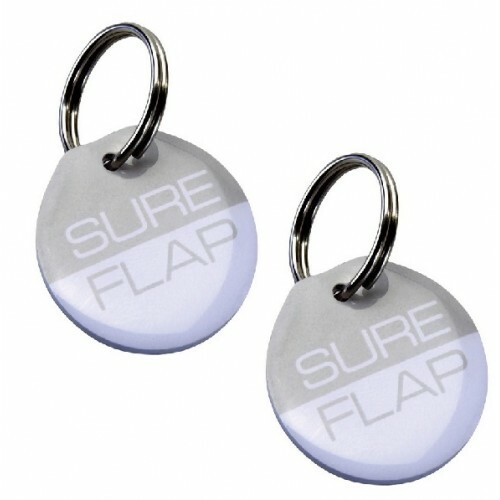 These RFID microchip collar tags contain an individually numbered microchip, they can be worn on your pets existing collars (dress or flea collars) and coded to your existing SureFlap Microchip Cat or Pet Door to automatically ‘unlock’ your door. Ideal for cats or dogs who have not yet been microchipped by your vet or their health professional. Ideal for cats under 6kg. If you have a larger cat please see the SureFlap Pet Door option as it is .. Designed for multi-pet homes to stop pets stealing each others’ food Ensures that prescript..